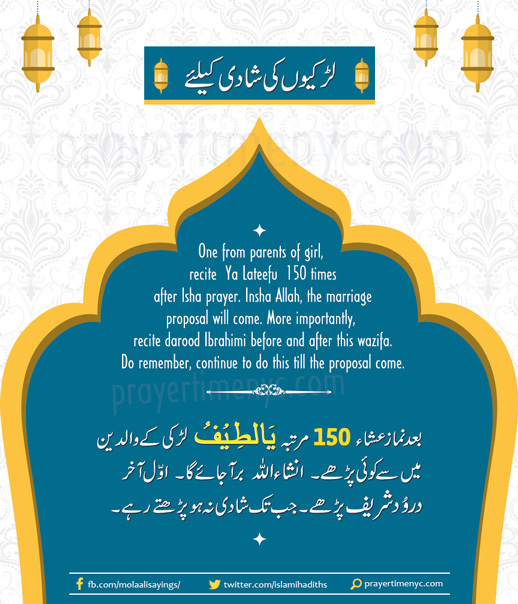 This post is about powerful wazifa for girls marriage. One from parents of girl, recite “Ya Lateefu” 150 times after Isha prayer. Insha Allah, the marriage proposal will come. More importantly, recite darood Ibrahimi before and after this wazifa. Do remember, continue to do this till the proposal come.